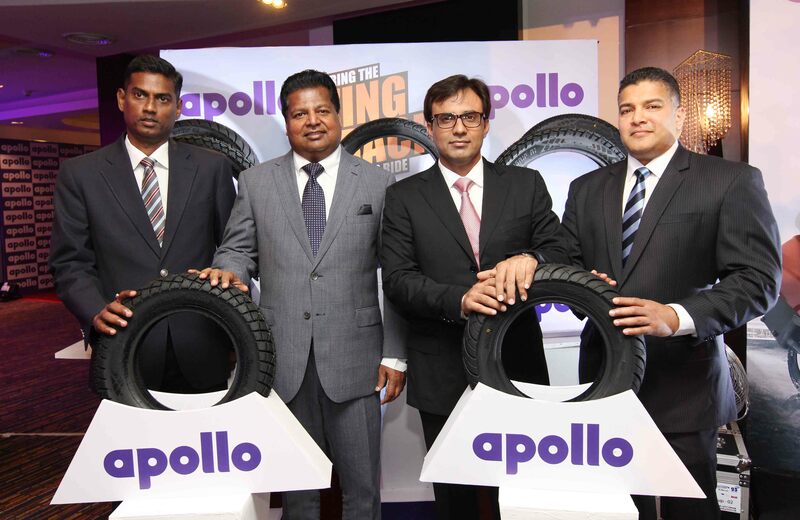 Apollo Tyres, a leading tyre major with annual turnover close to US$ 2 billion, has now become a full-range player in the Sri Lankan market with the introduction of its two-wheeler tyres. 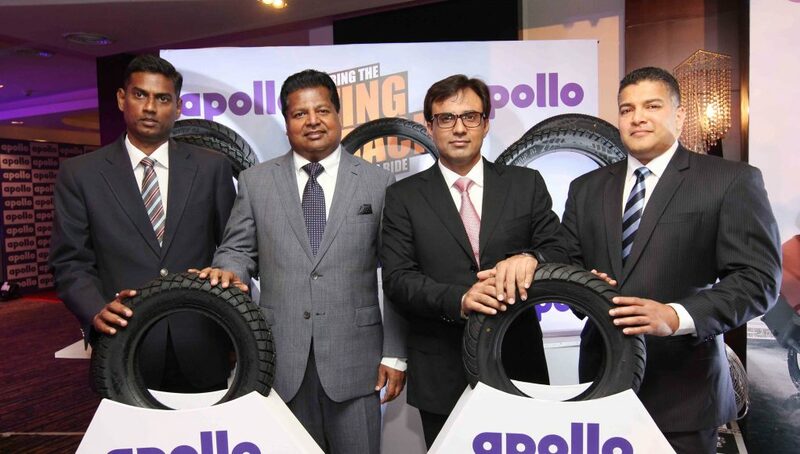 Rajesh Dahiya, Group Head, Sales (India, SAARC & Oceania), Apollo Tyres Ltd and Jagath Samarsekhara, CEO, Ideal Wheels & Tyres launched Apollo’s two-wheeler tyres in the island nation in the presence of company’s business partners and customers. Since its introduction in the Sri Lankan market in 2011, Apollo’s products have been well accepted across the country; and, this has prompted the company to introduce its two-wheeler range as well to service the estimated 250,000 – 300,000 vehicles a year market. Sri Lanka contributes more than 20% of the company’s exports to SAARC countries. The roads and vehicles in Sri Lanka are very similar to that of India, where Apollo Tyres enjoys leadership position in various product categories. The company also has an Apollo Zone in the up-market area of Galle Road in Colombo, which is operated by Ideal Wheels & Tyres (Pvt) Ltd. Ideal Wheels & Tyres, which is the sole distributor for Apollo Tyres in Sri Lanka, is lead by Nalin Welgama, Chairman, together with the former Captain of the Sri Lankan Cricket Team, Aravinda De Silva, who is the Company’s Deputy Chairman. The day to day operations are handled by its CEO, Jagath Samarasekara.